Team training is all set for September 30 at 11 am. The address is Bindner’s Jiu Jitsu Academy, 1615 North Routledge Park, London, Ontario. Hope to see everyone there! Hello, this is just a reminder that classes on Saturday and Monday are cancelled for the Civic holiday long weekend. Classes resume on Tuesday August 8th. Stay tuned for open mat announcements on our Facebook group page. Have a great weekend everyone! Today’s class was great! Congratulations on all the stripe promotions! Great job everyone. See everyone tomorrow for No-gi. Congratulations to Aaron, Will, and Clark on your hard-earned stripe promotions. Great work guys! This is a great achievement! Just a reminder to everyone that there will be no classes this Saturday July 1st and Monday July 3rd due to the long weekend. Keep an eye open for open mat announcements though on our Facebook group page. Have a great long weekend everyone and happy Canada Day! Attention everyone! Great news! Due to Scheduling conflicts we had to postpone the self defense seminar that was scheduled for the end of June. It has now been moved to Aug 26. We will be offering the most comprehensive self defense seminar in the history of this area at our facility. The course will cover everything from risk avoidance, to legal rights, to self defense techniques and strategies. All taught be some of the most knowledgeable people in the field. This seminar is also now open to both men and women and is available for $39.95. No experience necessary. If you are interested in attending, call 226-989-3140 or drop by the club to reserve your spot. More info to follow soon. 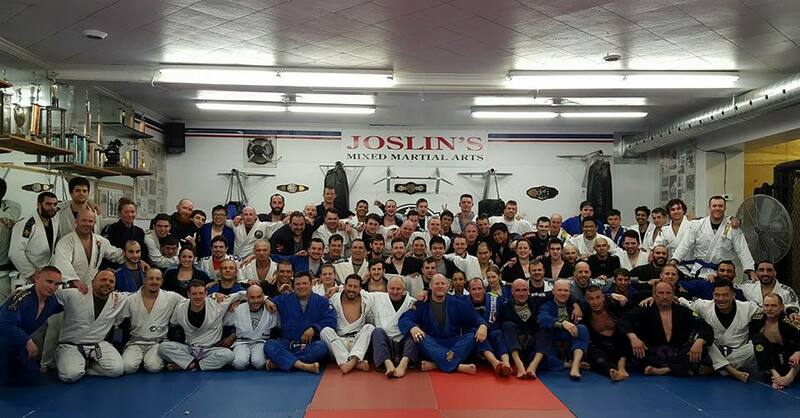 We had a great day of team training today at Joslin’s MMA! Great work everyone! 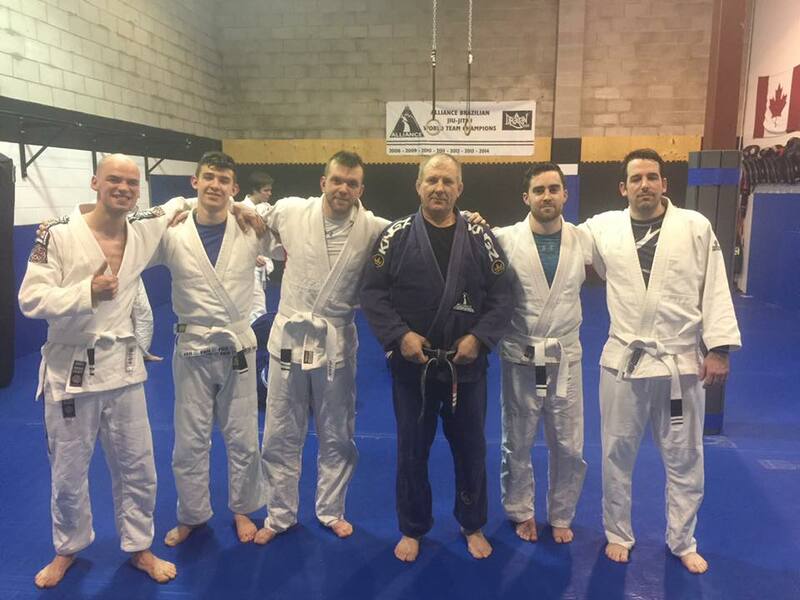 There was a great turnout of Alliance Team members of all belt levels and there were many good rounds of rolling. Thank to everyone who came! 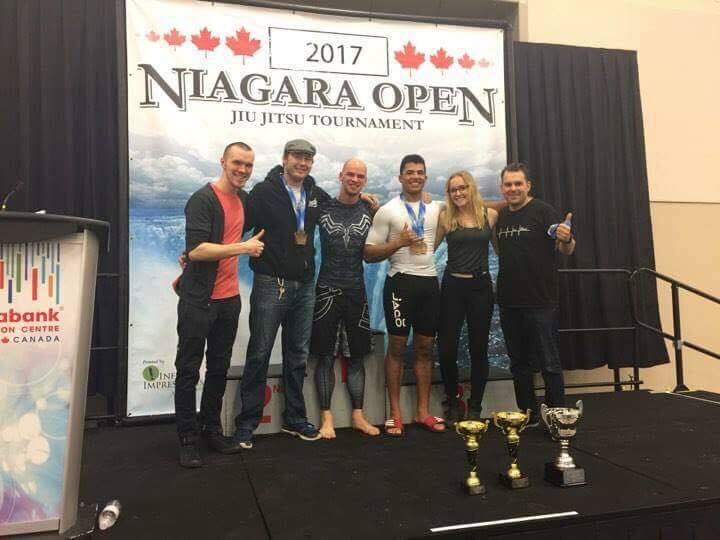 Great performance at the Niagara Open 2017 tournament from Saturday and Sunday. Congratulations to both Darian and Zach for achieving gold. Also, congratulations to Aaron for achieving his silver medal. As well there were lots of tough matches fought by both TJ and Jason who did excellent. Great work guys! You all did an awesome job! 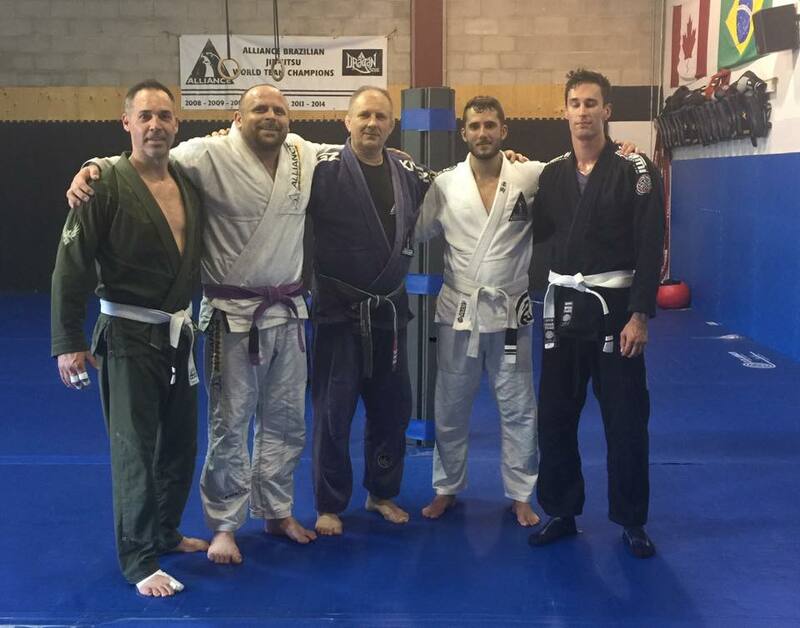 Congratulations to TJ, Tyler, Brad, Jayme, and Jeff for achieving their well-deserved stripe. Great work guys! Your hard work is paying off and this is an amazing accomplishment for all of you. There will be no classes on Saturday December 24th and Monday December 26th. Classes resume on Tuesday December 27th.